The Steinberg Duo has been telling musical stories on stage since 2007 through imaginative programming, emotive interpretations and captivating performances. The Sunday Telegraph described them as having both “warm musicality” and “virtuosity”, Gramophone magazine branded them “passionately committed advocates” and The Herald described their playing as “superbly characterised and open-hearted”. The Duo has released four critically acclaimed albums for Nimbus Alliance and Lyrita. They have performed live on BBC Radio 3 and their 2015 release was broadcast by BBC Radio 3 in the UK and Radio Marabu in Germany. Their performances have taken them to USA, Canada, Spain, Germany, UK and, most recently, a concert-tour of China. Louisa and Nick are the Artistic Directors of Ashuelot Concerts, a series in New Hampshire that aims to bring chamber music to new audiences with performances, illustrated talks and outreach workshops with children. From 2009-2016 they curated a recital series in the beautifully intimate setting of the 1901 Arts Club on London’s Southbank. They also transformed a disused shop unit into a specialised chamber music studio in Greenwich, London, and held monthly recitals there from 2011-2016, giving audiences a rare opportunity to experience chamber music up close in a small space. Originally from London, in the Summer of 2016 The Duo emigrated to Keene, New Hampshire. They have since appeared throughout New England including Dartmouth, Marlboro & Keene State Colleges, Apple Hill Center for Chamber Music and the Music on Madison Series in New York. 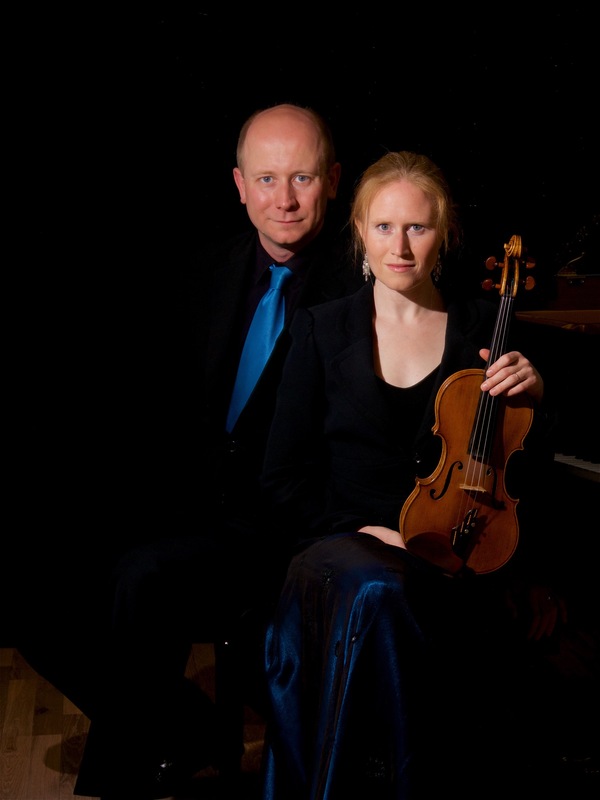 Alongside their work as a duo, Nick & Louisa also comprise one half of the newly-formed Samara Piano Quartet. Committed to supporting high quality contemporary music, the duo enjoy a particularly close association with composer Philip Sawyers, from whom they commissioned a second violin sonata in 2011. In May 2013, the duo recorded Sawyers’ Concertante for Piano, Violin and Strings with the Orchestra of the Swan and conductor Kenneth Woods. The duo have studied intensively with eminent chamber musicians at home and abroad. From 2012-14 the duo spent each January in residence at The Banff Centre in Canada, generously supported by the Musicians’ Benevolent Fund, the Richard Carne Trust & The Banff Centre. They were regular participants in the ChamberStudio masterclasses at Kings Place from 2010-12 and at IMS Prussia Cove in 2010. Louisa plays on a wonderful English violin made in 2010 by Glen Collins. It is based on the Lord Wilton Guarneri del Jesu owned by the late Yehudi Menuhin. The Duo takes its name from Louisa’s original Polish surname which was anglicised by her father in the 1940s.